This miniature, inspired by the famous painting by Olivier Pichat, illustrates one of the last visits of Napoleon at Boulogne. 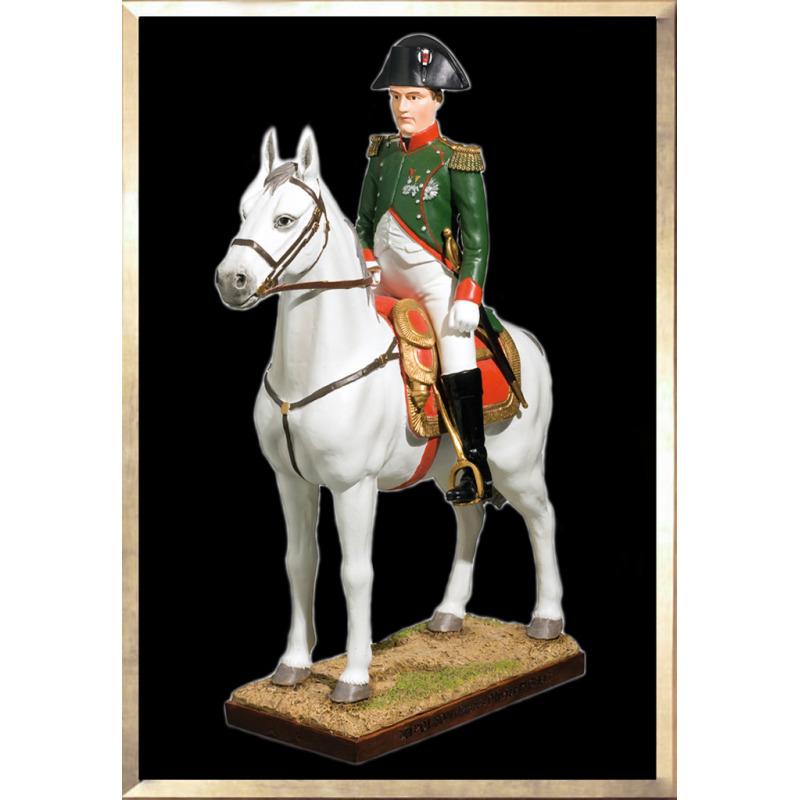 It shows Napoleon on his white horse, in his uniform of an officer of the chasseurs à cheval. It was in 1803, after England broke the Peace of Amiens, that Napoleon prepared the largest expedition force that had been seen. Nearly 200,000 soldiers and some 3,000 boats were gathered at Boulogne, waiting for an order of invasion. Sensing the danger posed by the Allied Powers at the gates of France, Napoleon decided to break camp on September 3rd, to head towards the Austrian Empire. It was then that the "Coast army" took the name of Grande Armée.